Cradled by the Blue Ridge and surrounded by massive national forests and vast wilderness areas, the Shenandoah Valley town of Staunton has endless appeal. One of the oldest settlements in the Blue Ridge, the Victorian-era town is a living museum. Staunton was largely spared the destruction unleashed on other locations in the Shenandoah Valley by Union troops during the Civil War—most of the buildings in Staunton’s downtown area are more than a century old, and the town’s residential neighborhoods are still dotted with elegant 18th and 19th century homes. A bustling commercial hub even during the colonial-era, Staunton still lures visitors with its architecturally stunning downtown—now lined with eclectic boutiques, inviting eateries, and cozy tasting rooms pouring locally produced wine and craft beer. 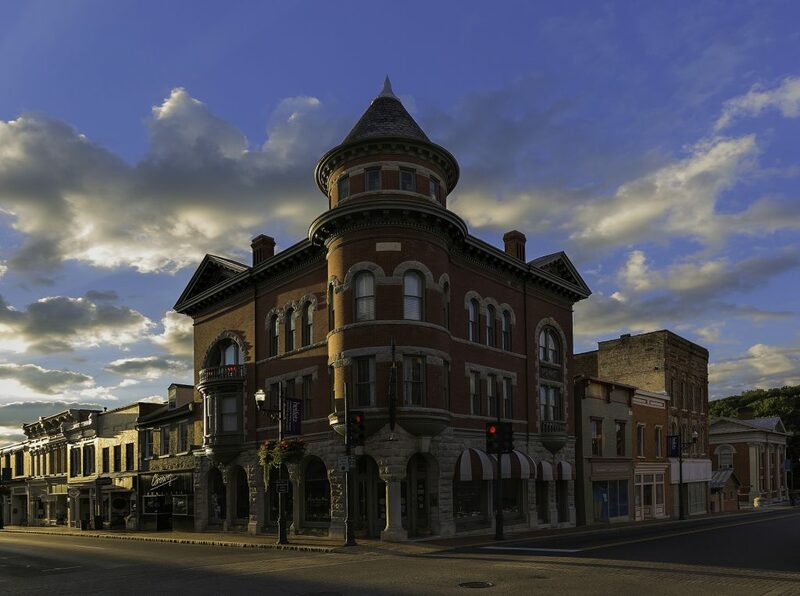 Beyond the proudly preserved architectural wonders, Staunton’s rich past is still evident all over town. Staunton was a stop along the Great Wilderness Road, a southward route used by newly arrived European immigrants as portal to the frontier until the middle of the 19th century—a thoroughfare that later became the Valley Pike, now Route 11. Staunton’s Frontier Culture Museum is a living-history, open-air museum that brings the past to life, demonstrating the daily lifestyles of the Valley’s early settlers through original farmsteads and costumed interpreters. One of America’s most influential presidents also called Staunton home: Woodrow Wilson was born in the town in 1865, and the 28th president’s home still adorns a hill in Staunton’s Gospel Historic District, now maintained as the Woodrow Wilson Presidential Library and Museum. For outdoor lovers, options in Staunton are almost endless. The strategically placed, mountain-fringed town is the ideal launch pad for a bounty of outdoor adventures. Staunton is flanked by two massive national forests—the George Washington and Jefferson National Forests—long, slender slices of wilderness stretching from one end of Virginia to the other, laden with recreational opportunities. 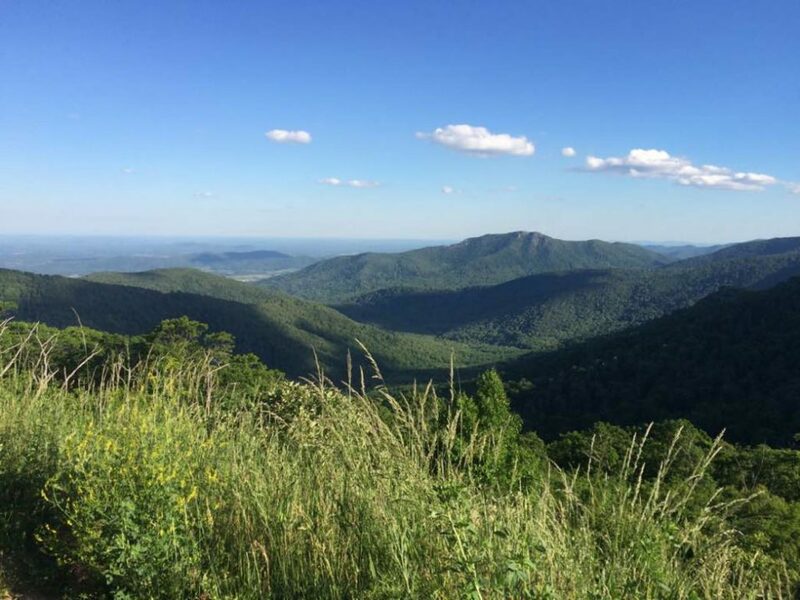 You also have quick access to the spectacular Shenandoah National Park and the Blue Ridge Parkway, the most scenic drive in the state. The town is also ringed by a collection of vast roadless wilderness areas traversed by extensive trail systems. 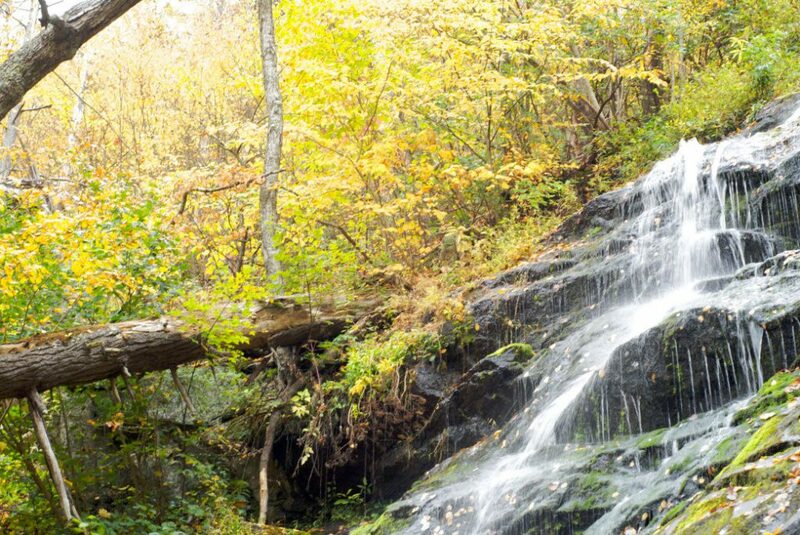 Just about 20-miles west of Staunton, the 19,290-acre Ramsey’s Draft Wilderness is crisscrossed by 37 miles of trails and loaded with craggy peaks and laced with trout-blessed streams. Just south of town, the 10,090-acre Saint Mary’s Wilderness is flush with 27-miles of trails—capped off by high peaks including Cellar, Bald, and Big Spy mountains—and spider-webbed by gushing mountain streams culminating in cascading waterfalls. Staunton provides easy access to two of the most scenic byways in the state—and arguably, on the East Coast. Just north of town is the entrance to Skyline Drive, the vista-rich, 105-mile thoroughfare bisecting Virginia’s 200,000-acre Shenandoah National Park, offering access to the area’s 500 miles of trails. Almost immediately after entering the park’s less-frequented southern section, Skyline Drive also intersects the 2,190-mile Appalachian Trail, which rambles through the park for 101 miles. In Rockfish Gap, 20 miles from Staunton, Skyline Drive also merges into the southbound Blue Ridge Parkway, the iconic byway running 469-miles from the Shenandoah National Park to the Great Smoky Mountains National Park in Tennessee. Some of the most spectacular sites along the entire parkway are in the northernmost section—just minutes from Staunton. First, the Humpback Rocks Recreation Area offers access to a range of hiking trails, with options for quick leg-stretchers or extensive loops. The massive 3,080-foot rock formation known as Humpback Rocks is also touted as one of the parkway’s premier vistas—and one of the most popular. Just after Humpback Rocks is another treasure: The Sherando Lake Recreation Area is one of the byway’s most inviting detours. The 25-acre, spring-fed lake is edged by hiking trails, leafy campsites, and a sandy swimming beach. Slightly further south, the parkway also offers access to the one of the most stunning waterfalls in the east—and the highest in the Virginia Blue Ridge—Crabtree Falls. Two trailheads just a few miles from the parkway offer hikers intimate access to the cascades plunging 1,800-foot course to the Tye River. The vast tracts of wilderness and extensive byways accessible from Staunton also make the locale a hub for cyclists. Options for bike rides abound—from two-wheeled historical tours of Staunton to longer circuits through the bucolic landscape of the Shenandoah Valley. Find a number of local circuits mapped out by Bike the Valley. 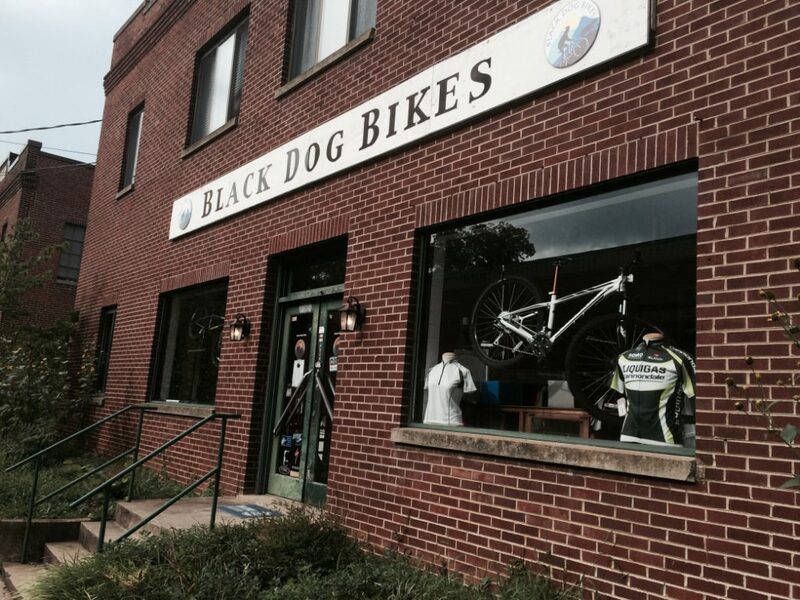 In Staunton, local cyclists congregate at Black Dog Bikes in the evenings from spring to early fall for weekly rides, with more leisurely loops on Tuesdays and fast-paced, longer circuits on Thursdays as well as Women on Wheels riding every Wednesday. 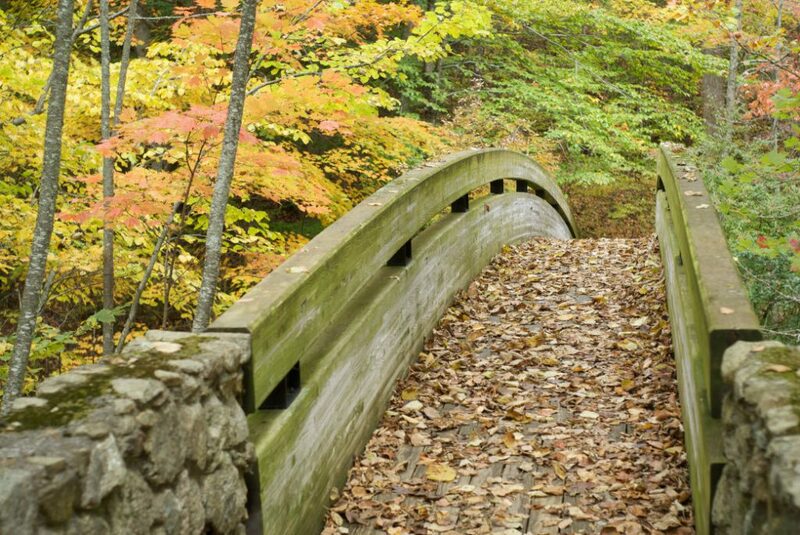 The town’s cycle culture is also celebrated every October with the Shenandoah Fall Foliage Bike Festival, a weekend of rides showcasing the region’s vibrant seasonal color. You’ll find routes suitable for riders of all levels—from lazy, 12-mile loops to century circuits full of brag-worthy climbs. The Shenandoah Valley isn’t just a playground for cyclists. The verdant valley is also sprinkled with farms, wineries and craft breweries—linked by routes like the Fields of Gold Farm Trail, the Shenandoah Valley Wine Trail, and the Shenandoah Beerwerks Trail. In Staunton, the bounty of the valley is showcased at the Augusta Farmers Market (Wednesdays and Saturdays, from 7 a.m.-noon, April to November) and celebrated by the town’s vibrant farm-to-table restaurant movement. But, it’s not just local eateries highlighting the abundance of locally sourced, seasonally rotating ingredients—Staunton has also become a hub of craft beer. The town is now home to three different craft breweries—Queen City Brewing, Redbeard Brewing, and the Shenandoah Valley Brewing Company. Eclectic microbrews, a seasonally evolving and locally inspired food scene, and a charming, historic downtown—all minutes away from vast wilderness areas, national parks, and forests. The next time you find yourself in Staunton, sipping a freshly poured craft brew while recounting backcountry Blue Ridge adventures, you too may wonder, is this the best kept secret in Virginia?